Data storage has long been a serious concern for most people. No one wants to lose their important files. Presently, people backup their important data in storage devices such as pen drives (USB sticks), memory cards, External Hard discs, CDs, DVDs or Floppy Discs. If they had huge quantity of data to back up, they were expected to buy multiple storage devices. Needless to say, the data backup was an expensive affair. Furthermore, the data stored so was not completely secure. Factors like theft, damage to the device, virus infections, etc were causing issues. So, people could not trust those devices outright. Fortunately, with a cloud storage solution, there is no question of data loss. Factors like theft, damage to the device or virus infection of your PC wouldn’t affect the files stored in your cloud storage server. Furthermore, with an online cloud storage account, you can backup your data as long as you wish, given that you visit your account at least once in a while. 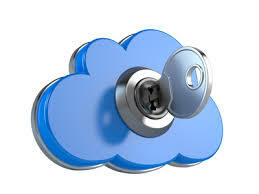 If you are looking for a secure and reliable data storage solution, cloud storage is the best option available. 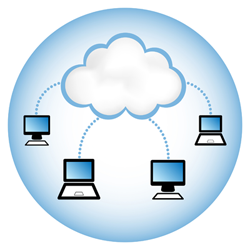 It is important that you understand how a cloud storage solution actually works. When you upload your data to a cloud storage service, it is transferred to the huge storage structure maintained by the cloud service provider. The storage structure is composed of several storage servers and is managed by a master control server which only the admin has access to, meaning your data is completely safe and secure. Online cloud storage is the right data backup solution no matter the amount of data you need to store. It provides higher security, instant accessibility, and better sharing options. Find a reliable cloud storage service and move your data to the cloud today! One thing we all tend to do is compare new stuff with something we are very familiar with, especially if the former is an alternative. And since the old system still benefits us, why not keep doing it? Here we compare cloud app and file hosting options, with the older hosted solutions, which have been around until now. 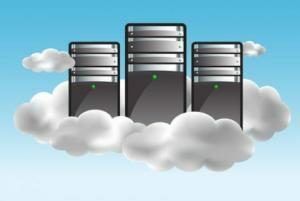 A cloud storage comparison with hosted solutions requires that we understand how each works. The more you listen to technical babble on this, the farther you probably get from grasping the fundamental differences. So, let us get through this with an example. Say, an HRM (human resource management) application was on a hosted solution, you could access the app from a single data center, and it would be hosted there as well. The problem with this is that if you have any problems with the hardware, and some data needed to be shared to establish compliance among multiple data centers you would have to export data manually. Now if you had the HRM app hosted on the cloud, you could access the data from a web browser if you had an internet connection. In this way, you could connect with many different data servers around the globe, and link up easily with the ones that are located physically closely. How this tips the cloud storage comparison with hosted solutions in the former’s favor is that you would not have to worry about hardware or software related issues. System integration can be done remotely, and you can take care of data sharing that way too. And the application, no matter how big, can be streamed with almost zero errors. Inside hosted solutions, you have shared hosting, where there is no need for admin expertise, if you wish to operate. The problem with this is that they all have a single point of failure. But on the count of customer support, this is still the more preferred option. Another problem with hosted solutions is that you would be paying a fixed amount, and this cannot be brought down. You could be leaving the bulk of the included services unused, and you would still be paying for them. Then there is also the issue of comparatively less security than the cloud can offer, as well as performance limitations. 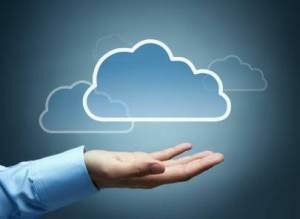 These are some of the key points when making a cloud storage comparison with locally hosted solutions. For some, the latter might well be the better option, but you have to pay a much higher price tag to set up and the level of reliability and security you can get affordable with cloud hosting.